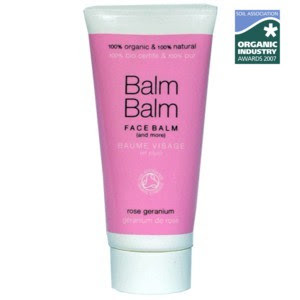 The Organic and Natural Industry Awards took place last week and the winner of the Soil Assocation Best Organic Beauty Product went to Balm Balm's Rose Face Balm. Scented with organic rose geranium essential oil every time I pluck this little wonder out of my bag (I use it as a lip balm and hand cream) I get people asking me what that gorgeous smell is. (Rose geranium oil is ruled by the planet venus and is used in love potions by white witches).